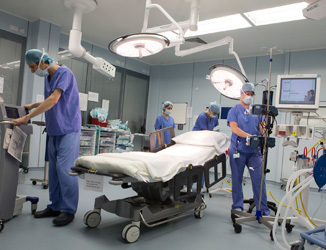 A return to theatre denotes the episodes where a patient has made an unplanned return to theatre during their stay. The rates of such incidences are low at Blackrock Clinic, particularly in light of the complexity of many of the cases operated on and the number of patients treated. All patients are assessed for their suitability prior to proceeding for surgery and are monitored closely during the post-operative recovery and throughout the rest of their hospital stay. This helps identify any required intervention early where the need arises and enables the team to introduce appropriate clinical steps to reduce complications.